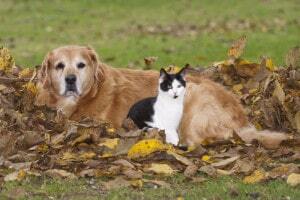 Osteoarthritis is very common in dogs and cats and can be very painful and debilitating. Osteoarthritis is a common disease in humans but is also found in many other animal species including dogs, cats and rabbits. Osteoarthritis is also known as degenerative joint disease (DJD) and can be a primary or secondary disease process. Osteoarthritis is caused by joint degeneration that leads to cartilage destruction, unlike rheumatoid arthritis, which occurs when the immune system actively attacks the joints. Primary osteoarthritis is caused by wearing out of the joints as your pet gets older and is the most common form of arthritis in cats. Secondary osteoarthritis, the most common type of arthritis in dogs, is caused by underlying joint pathology or instability. Joint instablity can be caused by strains, ligament laxity, faulty bone or cartilage development or direct/indirect injury, which then leads to secondary osteoarthritis. Orthopaedic conditions such as hip and elbow dysplasia or cruciate disease can lead to secondary osteoarthritis in pets some as young as a few months old. The initial signs of osteoarthritis are not readily apparent in the early stages even on x-rays (radiographs), so may go unnoticed for months or years but once deterioration has reached the synovial (joint) membrane and/or bone beneath the cartilage of the joint then the cycle of painful inflammation begins. Osteoarthritis is a painful condition and you may notice your pet cannot go for such long walks or finds jumping up or down more difficult. They may develop a matted, dull or scurfy coat as they are too sore to groom themselves properly. Your dog or cat may start having accidents in the house as they find it hard to toilet in the correct place because they are too stiff to go outside, squat down or it is difficult for them to get in and out of their litter tray. Osteoarthritis commonly affects more than one joint so you may not notice that your pet is limping, but you may find that they start licking their legs and body more than normal, leading to brown staining or bare, sore patches of skin. Cats and rabbits are very good at disguising pain, so the signs of osteoarthritis are more subtle than for dogs. When your pet has osteoarthritis you will often notice they are not as active as they used to be, they may sleep more and some dogs or cats may even find it painful to be groomed or stroked. When your dog, cat or rabbit has osteoarthritis it is best to try and manage it in a multi-modal or holistic way. This means not relying on just one thing, for example drugs, to manage the condition. Identifying and treating the cause of secondary osteoarthritis is very important as this will help to slow down the progression of the disease. It is really important to make sure any arthritis pain is managed appropriately. When your pet is painful you may notice a change in their behaviour and they may not seem as happy as they used to be. You may find that your dog or cat sleeps more than they used to and this inactivity leads to stiff joints and muscle wastage. We use a range of ways to help to tackle any pain your dog, cat or rabbit may have and this can range from arthritis medicines, through to acupuncture, rehabilitation/physiotherapy, hydrotherapy and massage. There are lots of simple things that you can do at home to help your arthritic pet, such as hot or cold therapy, massage and TENS (transcutaneous electrical nerve stimulation). We will determine the best treatments for your pet at home and show you how you can utilise them correctly and safely. Rehabilitation therapy will help to reduce inflammation, swelling and pain while increasing joint mobility and muscle mass. 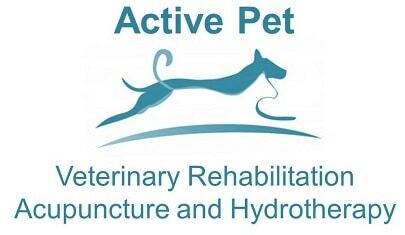 Hydrotherapy, physiotherapy, massage and a home exercise program for your cat, dog or rabbit are particularly effective and we will work with you to ensure an optimal plan for you and your pet to keep them active and pain free. When your pet has osteoarthritis we can give you advice on how nutrition and weight management can help to benefit your dog or cat and reduce their symptoms and pain. The use of disease-modifying agents such as food or supplements (nutraceuticals) containing glucosamine hydrochloride, chondroitin sulphate, MSM (methylsulphonylmethane) and long-chain omega-3 fatty acids such as docasohexanoic acid, avocado soybean unsaponifiables and eicosapentoic acid may be of benefit if your dog or cat has arthritis. Weight loss if your pet is overweight has been shown to significantly decrease the effects and pain of osteoarthritis and increase your pets’ mobility, life span and happiness. When your pet develops osteoarthritis we will explain all the options available to you to manage their condition and ensure you can keep your pet happy, active and pain free. We can help make life a little easier for you and your arthritic pet as we can recommend beds, harnesses and other aids to ensure your pet is as comfortable as possible at home or when they are out and about in the car and on walks. If you would like more information on osteoarthritis or how we can help your arthritic dog, cat or rabbit then please get in touch. We are a referral clinic so if you would like to come and see us for an appointment then we will happily contact your Veterinary Surgeon on your behalf so that we can treat your pet.